Sherri Dzik is a dedicated advocate for her real estate clients who trust her judgement and expertise implicitly. Buyers and sellers turn to her to find the right solutions in today's complex market, and to facilitate the process smoothly and successfully with her extensive legal background. Sherri received her J.D. from The John Marshall Law School and has practiced real estate law working with a diverse clientele. Her unique perspective from the other side of the closing table has afforded her clients invaluable insight into today's sometimes complicated closings. Sherri Dzik's clients can count on her to be responsive to their needs and inquiries. She believes that good communication is the core to good customer service. Often, first time home buyers require a bit more guidance through the real estate transaction, and Sherri does an exceptional job because of her straight forward and honest approach. A native Chicagoan, Sherri continues the tradition by raising her own children in the Northwest suburbs of Chicago with her architect husband. Sherri is a great source of information for community and children activities. When not selling real estate, Sherri enjoys a good book and keeps busy with her kids' music, theater and hockey activities. She is also active in her community through her involvement with the Women In Business Advisory Forum and Dynamic Professional Women's Network. 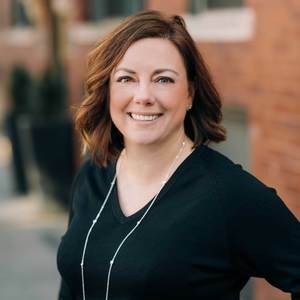 Continuously improving her skills, she has taken coursework to become an Accredited Buyer's Representative (ABR), a Certified Staging Consultant (CSC), a Home Partners of America Certified Agent and completed all coursework for the Pricing Strategies Consultant.